Summary: Near-by to Niseko and receiving the same massive annual dumps of pow, Rusutsu Resort holds its own against any skiing & snowboarding destination in Japan. Steep-n-deep off-piste trees, well-developed trail system, lifts that get you within easy reach of the goods, low-key vibe, entertainment for the kiddies (and adults with Peter Pan syndrome) and diverse accommodation options for different budgets make Rusutsu one of our favorite pow playgrounds on Hokkaido. 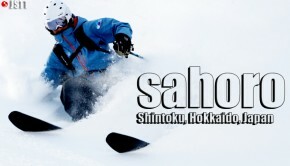 Less than an hour from Hokkaido pow paradise, Niseko, you`ll find one of the most enjoyable of all Hokkaido, Japan ski resorts, Rusutsu Resort. Aside from vast topographic differences in riding terrain between Rusutsu and Niseko — far more trees than open faces — the visitor demographics also differ, leaning more toward mellow Japanese guests than rowdy, free-for-all down-underers. The Japanese cultural feel of Rusutsu also extends to the resort`s quirky, yet smile-inducing amusement park atmosphere off the slopes. Where else around the winter world can you find a friendly robotic talking tree that everyone is compelled to push the button at least once to see it do it`s little dance? Of course there`s also an indoor European-style fairytale promenade of shops & visual distractions…why wouldn`t there be? And what amusement park would be complete without a roller-coaster? For real, Rusutsu has a full-blown fleet of multiple roller coasters and tons of other rides to go along with it at the ski area base. But the best thing about these slope-side distractions is that during mid-winter, trademark Hokkaido pow storms bury them under monumental snowfalls creating epic pow days and extra-long work days for resort employees required to dig out the coasters during Golden Week from beneath 12+ meters of fluffy stuff. For snowtrippers, the real thrill-ride at Rusutsu is out among the steep, tree-lined-powder-pitches that quickly erase any emotional damage caused by a singing tree in the lobby. Skiing and snowboarding on-piste at Rusutsu is pretty solid. Trails are long, wide and nearly always filled with fresh snow. Beginners will enjoy the mellow Green trails on West Mountain above the main lodging facilities and can begin to push themselves outside their comfort zones with top to bottom runs on Mt. Isola and East Mountain. Intermediates and advanced trail riders will have fun too, especially from the top stations on Isola and East Mts. 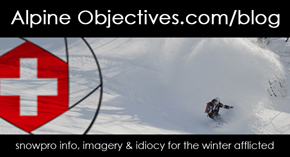 There aren`t many overly steep or aggressive pistes that will completely challenge advanced skiers/boarders. Most are rated Red, but you can definitely get the adrenaline flowing along nearly 600 vertical meter descents. 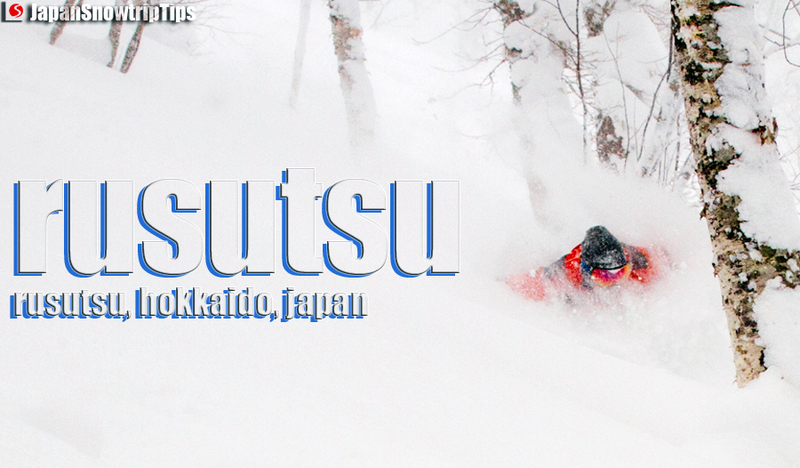 Off-piste skiing & snowboarding at Rusutsu is what it`s all about for skilled, pow-starved lunatics on Hokkaido. Uber-deep, steep, easy access, well-spaced trees provide the best wooded riding on the Northern Island. Likewise, even if the wind is howling and snow is pummeling the resort, the trees at Rusutsu deliver a surreal sheltered riding experience allowing advanced tree-huggers to forget about the white-out conditions on the opposite side of the tree-line. Be aware that although the powder tree runs at Rusutsu are fantastically fun, they can be a bit short, requiring traverses to stay high enough to avoid gullying-out (and getting stuck). But once you`ve found the sweet spots, maniacal laughter amidst blower pow clouds will definitely echo through the trees. More people are taking day trips from Niseko, but crowds are much mellower even during fully booked holiday periods. As fewer Japanese play in the trees (haha, rhymin`), it`s not uncommon for Rusutsu`s beautiful powder forests to harbor fresh lines days after storms if you know where to look. The manicured trails are also generally wide and long enough to create comfortably spacious descents alleviating bottle-necks on the slopes. 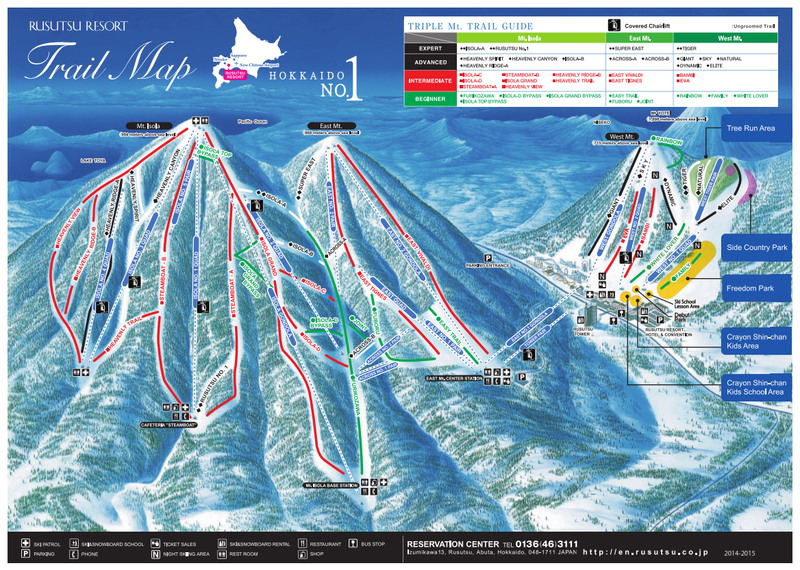 Other than the annoying lateral lift crossing from the main resort center below West Mountain to East Mountain, the lift-system at Rusutsu is well laid-out. There aren`t a bunch of signature Japanese extraneous, defunct lift towers scattered around the hill sides. 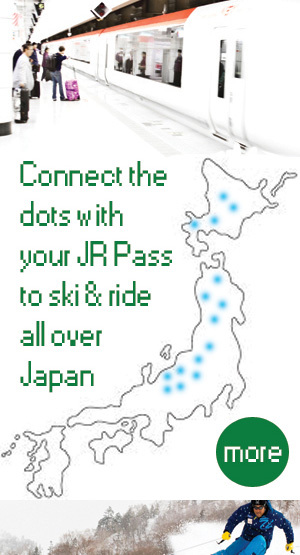 Rusutsu`s lifts generally drop you in great locations to begin your powdery pisted or treed off-piste descents. The resort is very spaced-out, however (3 separate mountains), requiring patience to reach the powdery goods from hotel to peak-top(s). Uh…it`s Hokkaido, so no worries. Rusutsu`s annual snow totals are excellent — officially 13 meters according to resort management — providing some of the best lift-accessed pow riding in Western Hokkaido. It`s never been easier to get to Rusutsu`s legendary powder trees. A new connection from New Chitose Airport — the Big Runs Bus — will get you from the airport to Rusutsu Resort in around 2 hours for ¥5000 round-trip (7-day advance booking required). 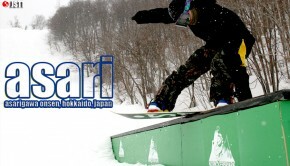 There is also a free ski shuttle bus departing from downtown Sapporo at 8am. You can find more Rusutsu bus access info here. Fun night skiing is open on West Mountain behind the main base lodge complex. The Freedom Park freestyle area is also lit-up allowing for a bit of jib-fun from 4:30-9:00pm all season long. Rusutsu Resort has a bunch of accommodation options for varying visitor styles and budgets. Families and those wanting a high-rise view will appreciate the Tower Hotel with capacities up to 8 persons, while the premium rooms in the North & South Wings provide stylish, close-by access to the ski hill. 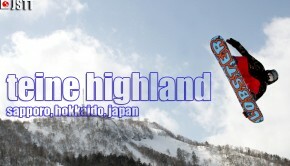 The Highland Lodge & Travel Lodge offer choices for the budget-conscious, while larger groups looking for a bit more space (and freedom to party) can stay in the equally budget-friendly slopeside cottages & cabins. Find out more details about Rusutsu accommodations here. Rusutsu Resort is around 2-hours from Sapporo making it relatively easy to add-in a few fun cultural excursions, especially if you book-end your ski holiday by staying in Sapporo or Otaru for a couple of nights. Discover snowmobile trails outside of Sapporo, tour & taste at one of Japan`s premier whiskey distilleries in Yoichi, enjoy a meal at Sapporo`s outstanding high-rise izakaya or visit a great museum to learn about Sapporo`s Winter Olympic heritage with epic views of the city.